Posted on December 29, 2014 by Michele D.
If you are a regular reader of Kosher Treif Cooking, you know that I’m a bit of a groupie when it comes to Susie Fishbein and her cookbooks. All one has to do is examine a few pages in my copy of Kosher by Design Picture Perfect Food for the Holidays and Every Day to know that the recipes are well loved and used often. When I first began keeping Kosher, I knew nothing about how to cook Kosher food or really even how to cook Jewish food. I’m from the South so the majority of my cooking involved fried chicken, biscuits and gravy, meat loaf made with my old treif friend pork, and just about anything else that could be deep fried or mixed with cheese, butter and heavy cream. And I can’t lie – making the switch to Kosher wasn’t easy. I relied heavily on Kosher by Design to help me make the transition, and I loved that a lot of the recipes reminded me of my old, comfort-food way of life. Susie does an amazing job of making Kosher food that is outside the standard Jewish-fare box, and her cookbooks gave me the idea to explore ways to make my old treif favorites into Kosher meals. Because I just learned about an amazing trip – The Susie Fishbein Culinary Tour to Israel – and wanted to share it with you. I sadly cannot make the journey myself due to work commitments but am keeping my fingers crossed that I’ll be able to attend next year. 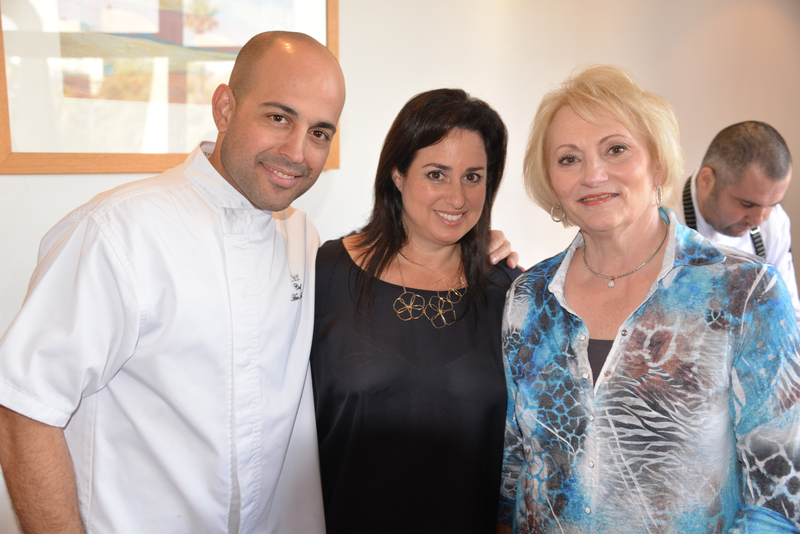 Best of all in my opinion, get to cook with and learn from Susie Fishbein! 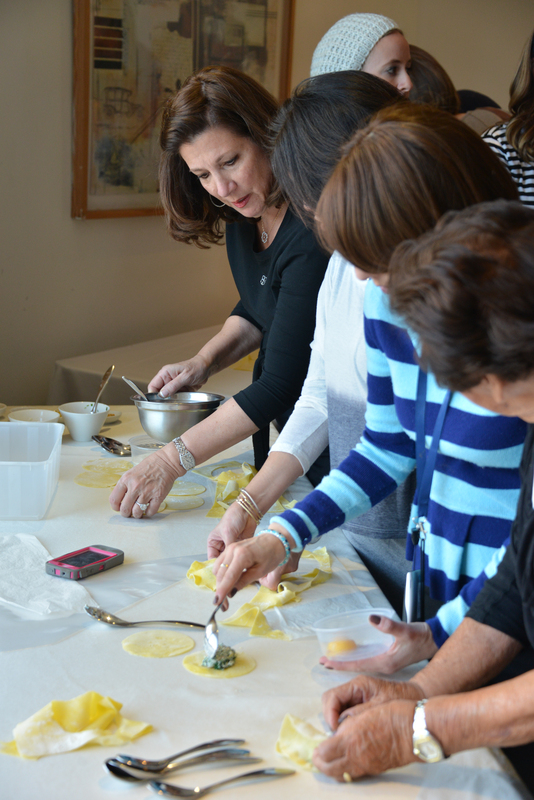 Plus, all attendees will receive a copy of Susie’s latest cookbook, as well as a special, personalized book that includes everything you learn on the trip. I hope you can attend this great trip and look forward to hearing about your adventures. 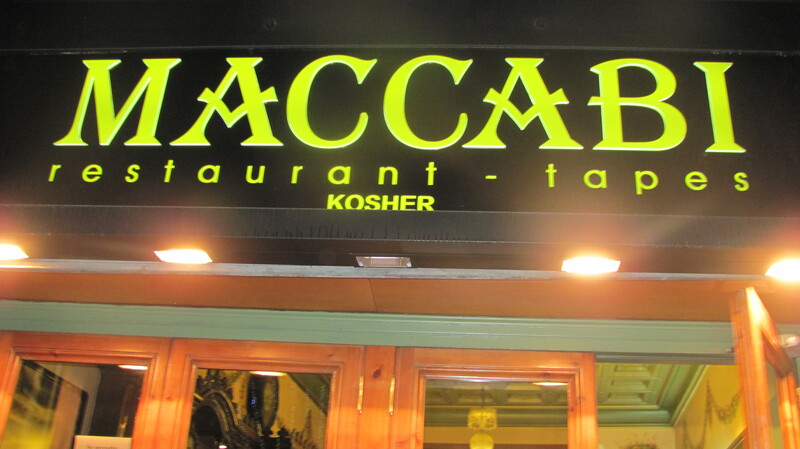 Posted on December 10, 2014 by Michele D.
We recently visited Barcelona for the second time and were so disappointed to discover that two of our favorite Kosher restaurants from our last visit are either gone or no longer Kosher. Delicias restaurant, which was our favorite, is no longer Kosher, and Shalom kosher restaurant has closed. 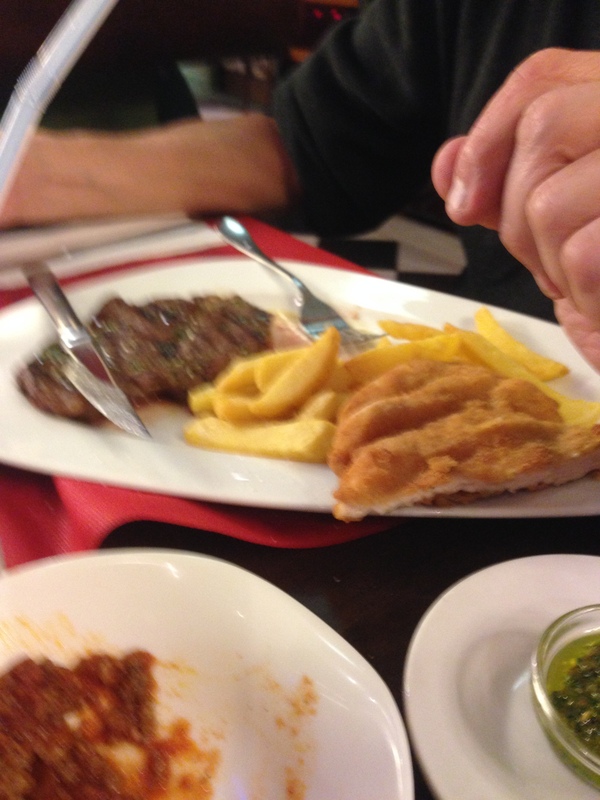 The top picture is my almost completely devoured plate of Schnitzel, which I enjoyed several times while in Barcelona. Neil had the beef kabob and steak. Zoe had pasta with plain red sauce and also meat sauce, which was really good. Apologies for the blurry photos. I think I was enjoying the Spanish red wine a little too much. One small complaint is that Maccabi charged extra for each pita, even when you ordered hummus. This fact drove us a bit crazy cause, come on, if we order hummus, we’ve got to have pita to go with it right? The owner’s explanation was that the hummus was the main thing … or something along those lines. Overall, I’m glad Barcelona still has a Kosher restaurant, but the atmosphere at Maccabi is not as relaxed and friendly as our favs from last year. All of our meals there felt rushed and chaotic but the food was very good and definitely worth it if you find your Kosher self in Barcelona. 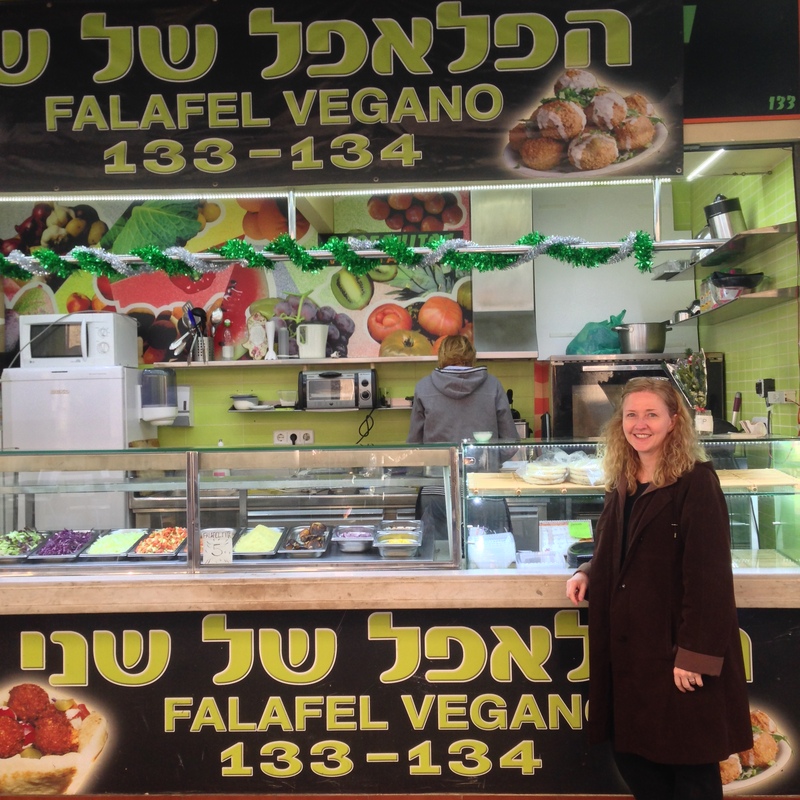 If you are not strictly Kosher and OK with eating vegetarian food, last year we told you about a great Vegan Falafel booth located in Mercat de La Boqueria. This food establishment is not certified Kosher but it is vegan and run and/or owned by a friendly Jewish woman. This trip, we decided to exchange Thanksgiving Turkey for vegan falafel instead, so we purchased our falafels and then bought drinks from a small store, that has a few tables/chairs outside, directly across from the falafel booth and sat down to enjoy our food. 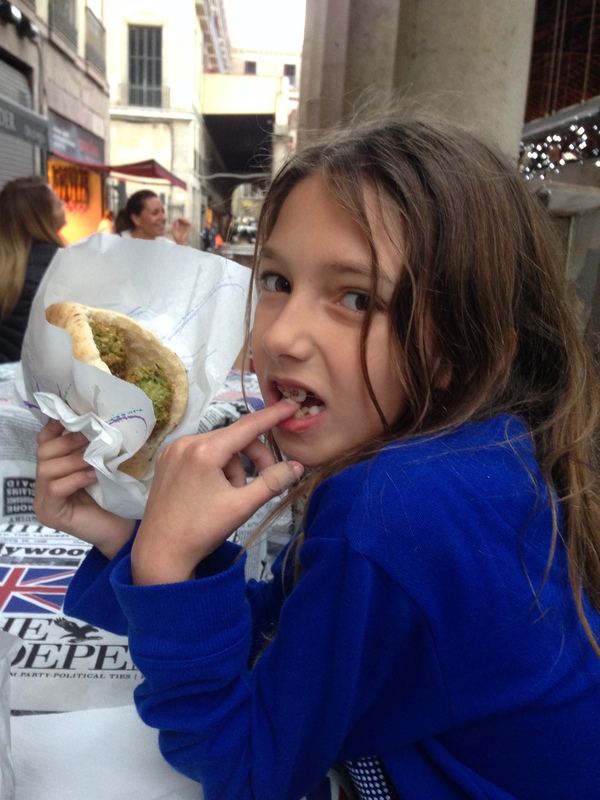 Zoe, who normally would not touch anything as exotic as falafel, actually ate and enjoyed about half of her lunch. So I think it’s at least somewhat kid friendly. Once you are done eating, you can walk through the many vendors’ stands in the Boqueria and marvel at the interesting foods for sale. 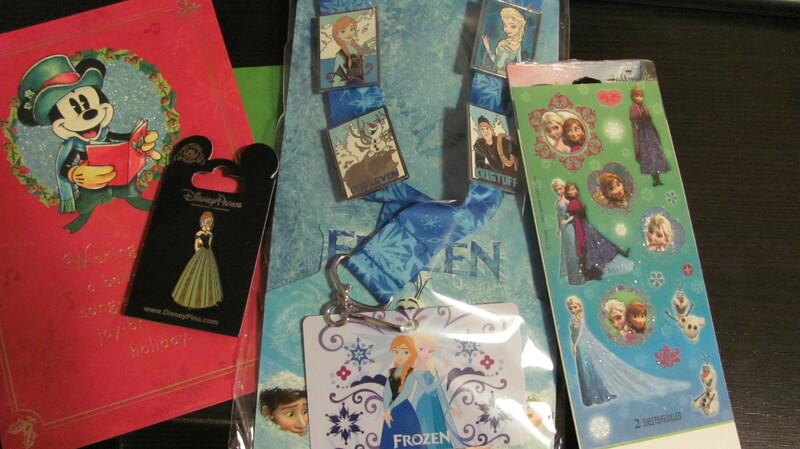 Lots of treif to admire in this market! Barcelona is a wonderful city to visit but if you are strictly Kosher, you’ll need to bring along some of your own food. We packed several boxes of mac and cheese, cereals, Nutella, etc. to enjoy while we were there. We also ate a lot of vegetarian food, which I’m thrilled to say seems to be on the rise in this very meat/pork heavy city. 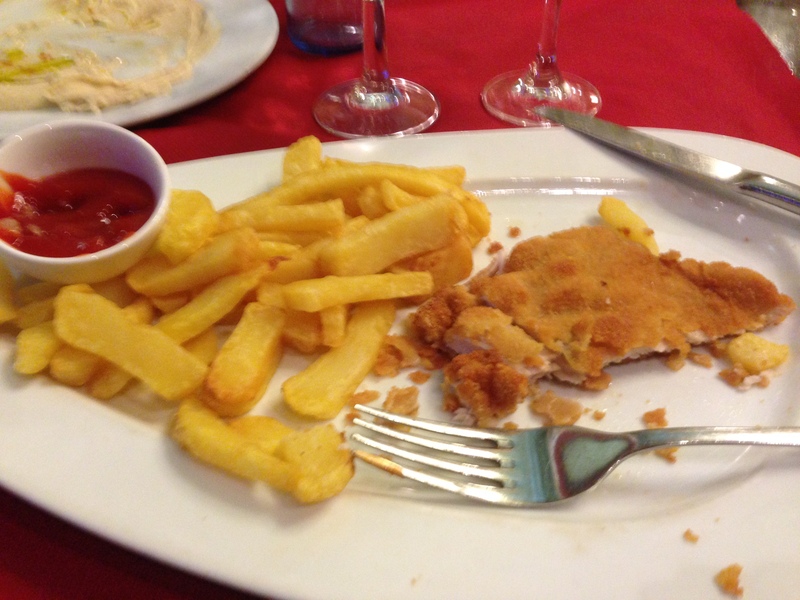 What have been your Kosher experiences in Barcelona or other European cities? Posted on December 9, 2014 by Michele D.